After meeting Jerry Jones and Wade Phillips at Cowboys training camp in Oxnard, I came across All-Pro defensive lineman DeMarcus Ware. 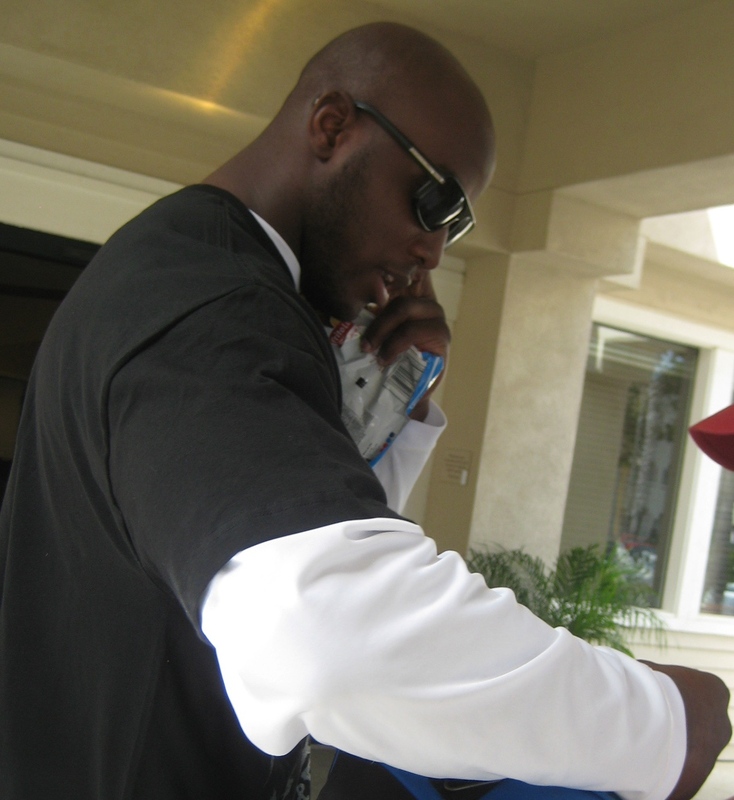 Ware was signing autographs for a couple of Cowboy fans outside of the team’s base hotel. Ware shook hands with the guys and then proceeded to sign multiple photos of himself and also a Cowboys’ helmet. For a top NFL player, Ware was extremely accommodating to these fans, providing them with whatever they wanted him to sign. I am not really a Cowboys fan, but I was very impressed with the accessibility Jones, Phillips and Ware offered the assembled group of fans at Cowboys Camp. They definitely make it a worthwhile experience for people who attended the Oxnard edition of camp this year.